While it’s common for teenagers to get metal braces, for adults it’s another story. Yet many adults who never had orthodontic treatments when they were younger, or whose teeth have moved out of alignment, may still want a way to straighten teeth without the stigma or hassle of traditional braces. Luckily, in today’s world with its modern dental advancements, straightening teeth isn’t limited to just traditional metal braces. At Meridian Dental, we offer three of those highly effective treatments that aren’t as noticeable as the metal braces you’re familiar with. Learn more about them below, and get in touch with our dental office in Wasilla, AK to speak with one of our cosmetic dentists! Straighten teeth faster and with less hassle with Invisalign! Convenient Invisalign retainers or aligners rest on your teeth, gradually shifting teeth to correct any misalignment. As the name suggests, these sets of aligners are nearly invisible, especially to people unaware that you’re straightening your teeth. About every two weeks or so, our dentists will give you a new set of Invisalign retainers, created out of custom molds from your teeth, to move them that much closer into place. In cases when a patient only has minimal malocclusion, Invisalign can be a great treatment to make those small adjustments quickly. Afterwards, we’ll help you keep teeth in place with one last set of Invisalign retainers you’ll receive at the end of the process. 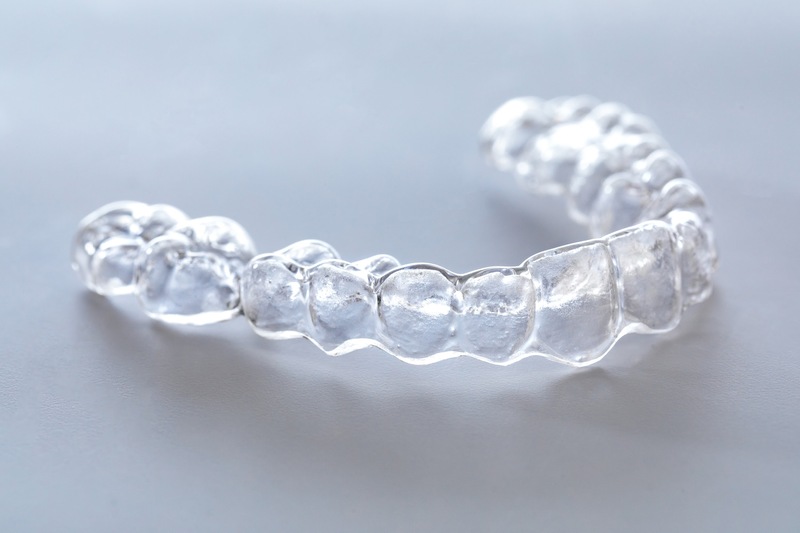 Similar in nature to Invisalign, ClearCorrect aligners are made out of clear plastic, making them hardly noticeable! Both Invisalign and ClearCorrect aligners can, and should, be taken out when you eat and brush your teeth. This helps to maintain good oral health during treatment, as opposed to metal braces where plaque may build up around brackets and wires. Flossing around metal braces can also be difficult, sometimes increasing symptoms and complications for patients who have gingivitis, or inflamed gums. The convenience of wearing removable, ClearCorrect teeth aligners can make them a great solution for these individuals as they make it easier to floss and keep gums healthy. For many patients wanting to straighten crooked teeth using clear aligners, ClearCorrect can be more affordable than Invisalign. Sometimes it is even covered by insurance! Meet with our Invisalign and ClearCorrect providers to discuss pricing and insurance coverage. For patients with severe misalignment, sometimes braces are the necessary treatment to achieve a completely (and permanently) straight smile. 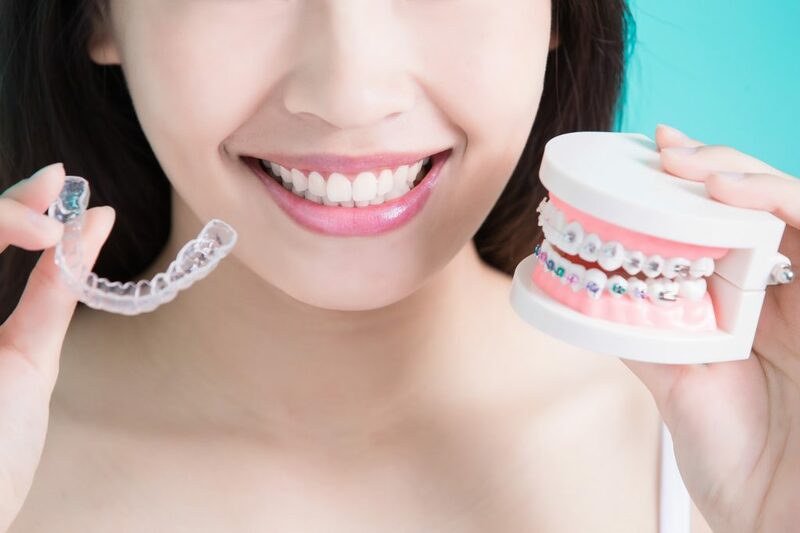 Clear braces, less noticeable than other traditional braces, can provide that sort of treatment without drawing too much attention to your teeth. Often clear braces can align teeth quicker than clear aligners, especially in those cases when malocclusion is extreme. Your Perfect Smile, Minus the Braces! Everyone deserves to feel confident with their smile. If you’ve been covering up your teeth, but don’t want irritating braces to get in your way, you have several options available to you that can correct any flaws or misalignment! Meet with our cosmetic dentists in Wasilla, AK to discuss which orthodontic treatments like Invisalign, ClearCorrect, or clear braces will be best for you. Schedule a consultation appointment at Meridian Dental today to start smiling without feeling self-conscious!